A New Era Dawns – Do you speak Autism? 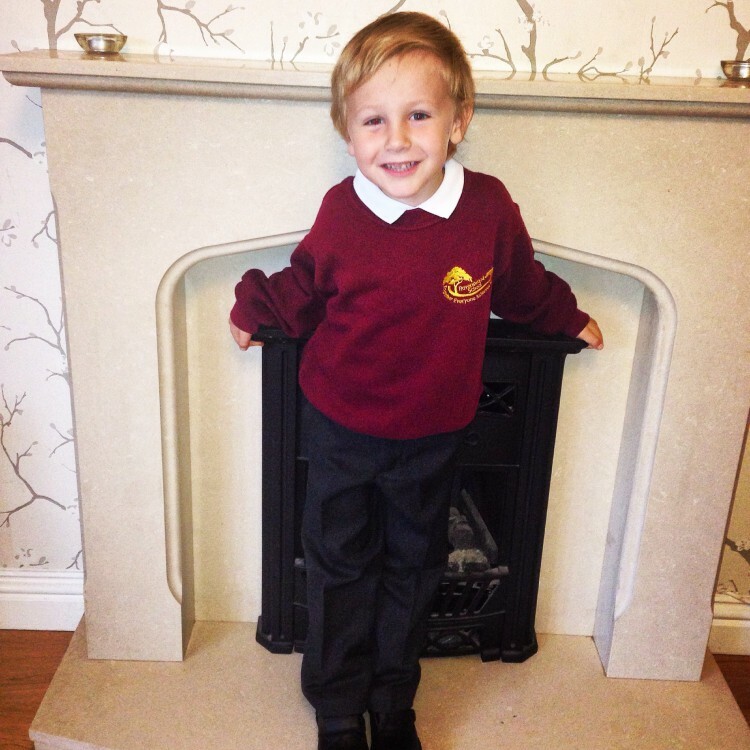 For the past year, I have thought of very little else but James’ transition to school. I have spent hours calling and emailing the council for updates and pleading our case, first to get him an educational statement, and then for them to agree to send him to the school of our choice. I’ve managed to stick to my guns, but at the back of my mind I admit I’ve secretly doubted myself, wondering if in all this I’m actually making the right decision at all. Am I doing the right thing by James in denying him the chance to mix with ‘Normal’ children? Am I merely being over-protective in thinking that he won’t cope? We were finally informed of the council’s final decision just after Easter, which seemed like an age, but in fact was pretty swift by North Somerset’s standards. In the end, what swung it for us is that the head teacher at our local mainstream primary took my side, and was prepared to go out on a limb and say she didn’t think the school could meet his needs. I highly doubt this would have happened had I not been so adamant about it all, and made such a fuss in the local paper. No head teacher wants to be accused of disability discrimination, but in this case she knew she had my full support in ‘rejecting’ my son for a place. It was a bittersweet triumph. Ironically, I’d been so consumed by the whole battle that I almost lost sight of the fact that, come September, one way or another James would be putting on a school uniform and embarking on the next major milestone of his life. It was only as the summer holidays started drawing to a a close and the first hints of Autumn could be felt in the air that the reality of it suddenly hit. I quickly had to hot-foot it to Asda to purchase said uniform. (Ask anyone that knows me: Organisation has never been my thing). James and I spent our last day of the summer holidays at Noah’s Ark zoo farm in Wraxall. Despite how excited I felt for him to be going off to school – and I’m not going to lie, a tiny bit relieved after six long weeks of trying to keep him out of mischief- it was hugely emotional for me, something I’m sure all parents can relate to. It still seems like yesterday that I was proudly wheeling him around in his pram. I know it’s a cliché, but it really has gone by in the blink of an eye. In an effort to be organised (yeah, right!) I prepared a packed lunch and ironed James’s school uniform all ready for the morning. As I looked at him fast asleep, I couldn’t help but wonder what he would make of things the next day. Part of the reason for my nervousness was that not only did he have a new environment and new routines to get his head around, he would also be travelling to school by bus. A couple of parents that I have mentioned this to have looked at me in disbelief – “what..on his own? Surely not, he’s only five!” And I must admit I was really unsure about him going in on the bus, especially on his first day. But the thing is, for James, its best to start as you mean to go on and familiarise him with a new routine straight away. Driving him in one day and sending him by bus the next would just confuse and upset him. Because James attends a special school, it doesn’t have a local catchment as such- their pupils come from all over the county. Travelling to school by bus is therefore the norm for the majority. Naturally, they are accompanied by a designated carer, and are collected from their door and delivered straight to their teacher. But still. I was expecting James to climb on a bus with people he had never met, to take him to a strange place… That would have freaked me out, at five years old. But as it turned out, he loved the bus and still does. In fact, I think it is the highlight of his day! As I write this, unbelievably, it is the last day of James’ first term. My dad once said to me that when your children start school time really starts to fly by, because you start to divide the year into terms, and each one isn’t very long. Still, in seven or so weeks, the difference I’ve seen in James has been incredible. He is starting to put together sentences of his own accord and is commenting on things he sees. An amazing example was whilst out walking one evening, he looked at the red sky as the sun was setting and said ‘the clouds are a lot of fire!’ I was gobsmacked. We’ve noticed that he has become calmer and more affectionate. I’m convinced this is because his mind is being stimulated, reducing his frustration and aggression, which I think in part stems from boredom. He is a bright little boy, but because of his communication difficulties it takes a special teacher to know how to access that intelligence; to provide activities which both motivate and challenge him. We’re incredibly lucky that the quality of teaching at James’ school is simply amazing, and he benefits from an individually tailored curriculum and intensive support. Before starting school, James didn’t seem that interested in being read to, preferring TV if anything, but still finding it difficult to sit still for more than a couple of minutes. Since starting school, he seems to have discovered a love of books. This is such an exciting development, as being an avid reader myself I know that reading is key in developing understanding and use of language. The other huge bonus for me though, is that it has really helped to strengthen our bond with him. For the first time James is starting to seek us out to read stories to him, where he would previously want to play on his own. I’ve mentioned before that James loves numbers, so it’s no surprise that in this area he is going from strength to strength. A little more unexpectedly, he is also taking to literacy like a duck to water, having quickly memorised the phonetic alphabet and started to learn common sounds in words. With the help of the Cbeebies ‘Alphablocks’ app, which is highly visual, he has begun putting phonics together to form simple words: essentially, what you would expect a child of five to be learning. I firmly believe that this is only possible because he is in an environment where he can flourish; where he is intensively supported, and he is not having to cope with the huge sensory overload of being surrounded by 29 other children whilst trying to process all this new information. This is true inclusion, in my view. Naturally, school has not been without its challenges for James- the reality of his condition is that new experiences will always be harder for him than other children. There will always be meltdowns and ‘time outs’- but at the very least I believe these are far less frequent than they would have been in mainstream school. I still have no idea what the future will hold for him, and for us.. but then again, no-one ever really does. Ultimately, I have always said that my main objective was for James to be happy, regardless of educational attainment. So for me, the reason why I know I made the right choice, and why the fight was worth it, is all about James’ huge grin every day when the school bus arrives. This entry was posted in Autism, Uncategorized and tagged #ASD, #autism #parent #understanding #autismawareness, #autism #parent #understanding #autismawareness #confession #positive, #parenting #autism #autisticspectrumdisorder #disability #behaviourmanagement #, #RuledOut, #SEN, #specialassistance, #startingschool, Opportunity, school uniform. Bookmark the permalink. This makes such interesting reading and I glad to hear James is making good progress at school. I met you at Springboard at Stay and Play once, you may recall me as we just moved here from Australia?! I am just starting the process with the council to get Charlie a Care plan. I would love to have a chat with you if you can spare the time ? Maybe after half term ?